We will randomly select one player over the weekend to receive a FREE War of the Spark BOOSTER BOX as a door prize. Every entry into a prerelease event gets you a chance to win this door prize, with 12 bonus entries for players who enter all 6 pre-release events! When you register, you can "Add-a-Box" of War of the Spark to your order for just $109.99. 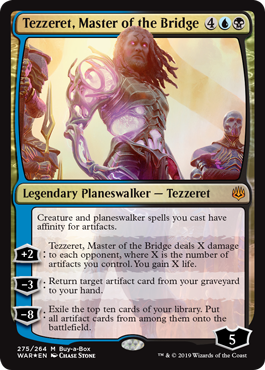 This special price is only available for pre-release customers, and you will receive your sealed box and exclusive "Buy-a-Box" promo "Tezzeret, Master of the Bridge" card during the pre-release (i.e. you do not need to wait until release day); Quantities may be limited! Every booster pack of War of the Spark contains a Planeswalker card - there are 36, never-before released Planeswalkers in this set! You'll build a 40-card minimum deck using the contents of a themed Prerelease pack. This play format is called "Sealed Deck." After you build your deck, you'll be randomly paired with another player for a best-two-of-three match. Each round, you'll report who won and be paired up with a new player. If you do well, you may get additional booster packs as prizes! What will you find in your pre-release pack? Each player will then make a 40-card minimum deck (25-minutes for deck-building) from the 6 booster packs in the pre-release kit! Bring your own lands if you have them. If you don't have lands, you can borrow store lands. (Please note that prize boosters cannot be distributed before the end of the event, and we cannot hold prize packs for players, except for our comic subscribers). We will have SIX different pre-release events at Spandex City. "Six Pack" (All 6 prerelease events) - Triples your entries (18 total) into the Booster Box door prize drawing; also qualifies you to "Add-a-Box" for just $99.99+tax (at time of initial purchase only)! 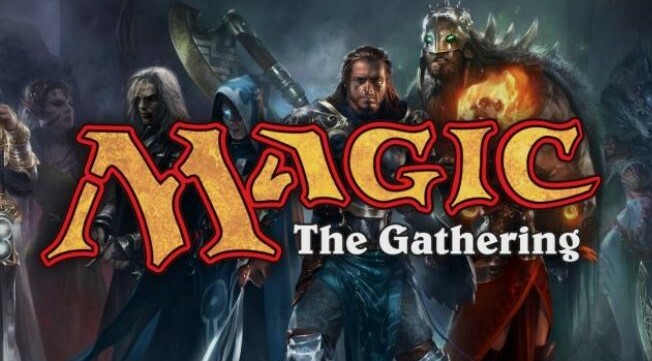 "Elite 8" (All 6 prerelease events, Launch Party, and Draft Tournament) - Triples your entries (18 total) into the Booster Box door prize drawing; also qualifies you to "Add-a-Box" for just $99.99+tax (at time of initial purchase only)!